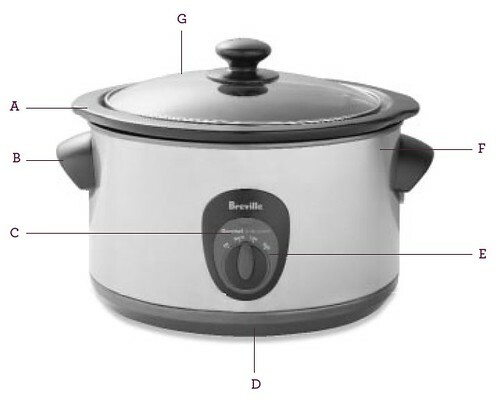 The Breville® Gourmet Slow Cooker™ – The 5.3 quart slow cooker with the cook and serve insert. From counter top to table top…beautifully. A. Tempered Glass Lid. 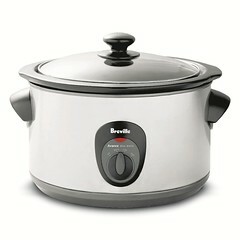 B. Removable 5.3 quart (5 liter) Cooking Bowl. C. Cool Touch Handles. D. Power Indicator. E. Soft Touch Temperature Control. F. Stainless Steel Housing.